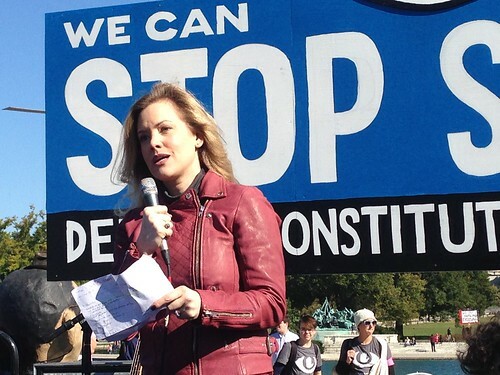 Jesselyn Radack, an attorney and national security and human rights director of the Government Accountability Project, confirmed the above details as part of an exclusive for Firedoglake. She noted that this news, although premature, had leaked on Twitter by an “unidentified” source. The tweet included a hat-tip to WikiLeaks, which may suggest that Sarah Harrison, who helped Snowden fly out of Hong Kong and later obtain asylum from Russia, has been part of efforts to secure a German asylum offer. Harrison has stayed in Russia fearing if she traveled back to the United Kingdom she might be detained. Radack traveled with NSA whistleblower Thomas Drake, FBI whistleblower Coleen Rowley and former CIA officer Ray McGovern to Moscow to meet Snowden earlier this month. She has represented a number of NSA whistleblowers and spoken on a number of occasions on behalf of Snowden. If given the opportunity to accept asylum from Germany, she further stated that Snowden would be interested in considering the offer. He would be grateful that the offer had been made. An asylum offer would have “geopolitical significance,” Radack added, because it would be a European country and ally extending the offer. Up to this point, only Nicaragua, Venezuela and Bolivia—in addition to Russia—have expressed willingness to give him asylum. Radack suggested that Snowden has thought about whether he would be safe and is fairly confident he would be okay if he was living in the country. The situation, according to Radack, is “delicate.” The fact that the news leaked on Twitter could scuttle a possible asylum offer, however, the human rights attorneys involved, despite the leak, are interested in continuing to push for an asylum offer with politicians, who have been part of discussions. Snowden has already submitted a statement to a European Union parliamentary committee, which was read by Radack in September, but, since then, many revelations on spying on France, Spain, and Italy have come out in addition to the fact that beginning in 2002 Merkel’s phone was tapped. The NSA was listening into her conversations to glean details on the German leader’s real agenda, particularly private information she would not share in diplomatic discussions. Inevitably, any testimony given by Snowden would lead to an outcry amongst US politicians, pundits and government officials that he was, again, being disloyal. “No matter what Snowden does, any time his revelations come out in the newspaper, any time anything untoward about the United States emerges, the government and mainstream media always end up questioning his loyalty to America, rather than their own,” Radack said. Snowden has no documents. Testimony given would be based on his knowledge and memory from working in the NSA. What testimony he provided would be of value to Germany because he could confirm what the US government has chosen to deny or, in some ways, excuse as acceptable conduct. He absolutely would not covertly pass on US intelligence, which Germany could use against the US. At a House intelligence committee hearing yesterday, NSA Director General Keith Alexander, Director for National Intelligence James Clapper and Deputy NSA Director John Inglis each said Snowden was a “traitor” when asked to give their opinion. Such statements make it increasingly clear that Snowden would have a tough time receiving a fair trial for charges of violating the Espionage Act and stealing government property if he returned to America. Snowden remains in Russia after being granted temporary asylum in August. The asylum protects him for a year. His lawyers will have to apply for it to be extended if he wishes to stay in the country. And if he intends to try and travel to some other country which grants him asylum, that will have to be coordinated with the Russian government. The Local in Germany reported a number of details about this on October 28. The two main political parties in Germany have agreed to debate the “spying accusations” on November 18, as part of a “special sitting of parliament.” Calls for the parliamentary investigative committee to “look into the spying accusations” are growing amongst politicians. “Some are even demanding Edward Snowden be coaxed out of hiding in Russia, where he has been granted asylum, to travel to Germany to act as the committee’s star witness,” the Local reported. Thomas Opperman of the Social Democratic Party of Germany said Snowden is “highly credible” and “obviously a valuable witness” for Germany. Opperman heads the “parliamentary control committee,” which is responsible for oversight of the country’s intelligence services. …if Snowden were to abandon his hideout in Russia, added Oppermann, he could not see Germany handing him over to the USA to face trial. Additionally, journalist Glenn Greenwald, who Snowden provided documents to publish stories on the NSA, recently told German public broadcaster ARD the country should offer Snowden asylum and protect him.